Ali is the founder and Chief Executive Officer (CEO) of British Pearl. He is an experienced financial professional and entrepreneur and has spent the last 18 years in financial services. 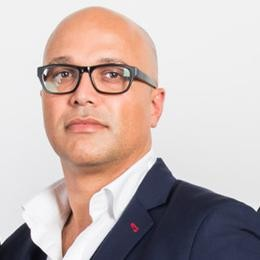 He thrives on building innovative businesses with inspirational people and is principally interested in the alternative finance market (AFM), with a focus on Equity and Debt based Crowdfunding/Peer to Peer platforms. Prior to establishing British Pearl Ali worked within the global capital markets as a sales trader. This included Vice President, Head European Financing Trader at Paloma Securities London Limited and Associate Director, Interest rates sales trader at Mitsubishi UFJ Securities International plc. He has also worked for BNP Paribas, J.P.Morgan and Martins Brokers (UK) PLC. He holds a BA (Hons) in Economics and Econometrics from Kent University and other banking related professional qualifications.